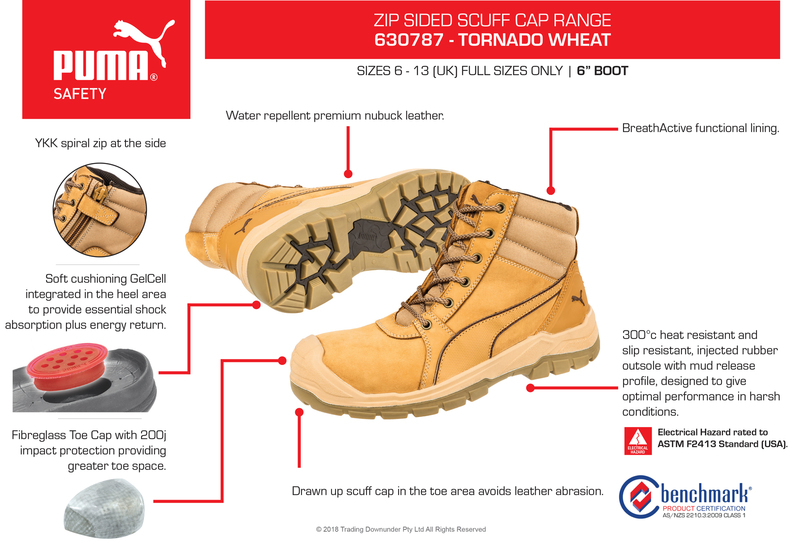 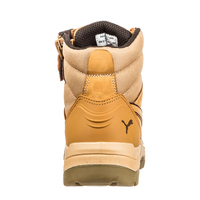 The 630787 Puma Tornado Wheat is 1 of 4 NEW styles added to the Puma Scuff cap range. 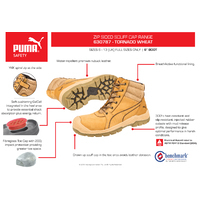 It is a 6" boot that features a fibreglass toe cap which has greater room in the toe area whilst still providing toe protection for up to 200joules. 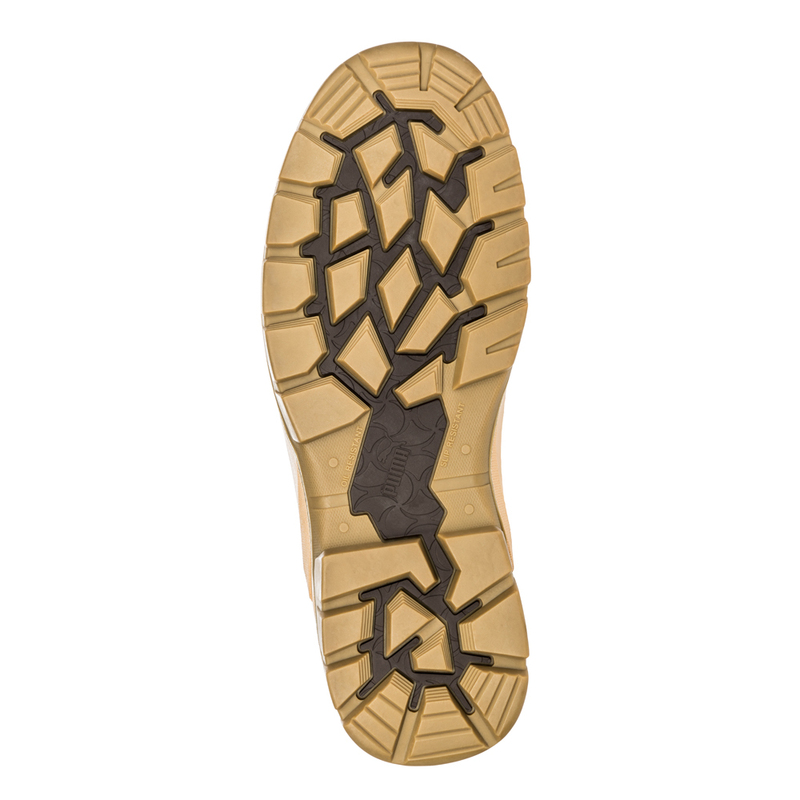 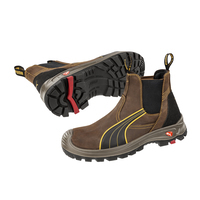 It has a shock absorbing GelCell in the heel area and a 300°c heat resistant and slip resistant rubber outsole with mud release profile designed to give optimal performance in harsh conditions. 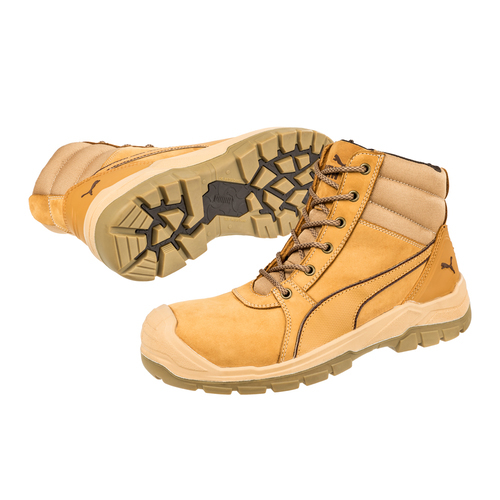 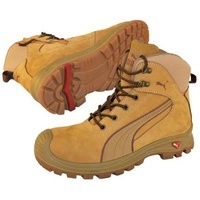 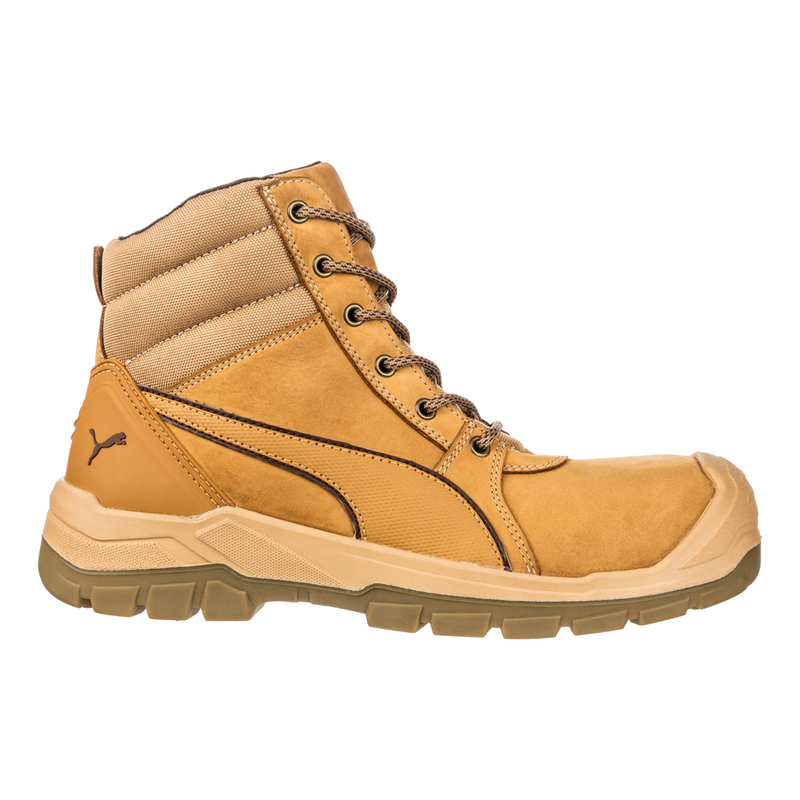 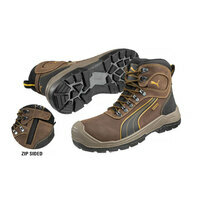 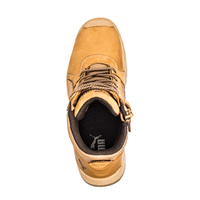 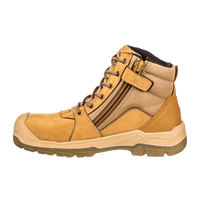 The Puma Tornado Wheat is comfortable, stylish, has a zip side and is Electrical Hazard Rated to ASTM F2413 Standard (USA).